Makeup application just got a lot easier with PÜR’s Skin-Perfecting Foundation Brush. With its unique oval shape, dense bed of synthetic bristles and large grip handle that gives you plenty of control, you’ll achieve an airbrushed, full coverage effect that looks like second skin every time. Use it to flawlessly apply the new Bare It All 12-Hour 4-in-1 Skin-Perfecting Foundation or your favorite creams, powders and bronzers on the face and body. Love, love ,love this brush! Soft and picks up just the right amount of product, blends nicely, and doesn’t streak. I recently purchased the Bare It All 4 in 1 foundation and was having trouble applying it with my fingers so decided to purchase this brush. And am I ever glad I did! I was able to easily apply the foundation and blend it smoothly and evenly on my face. The brush is soft and is quick to use since the head is rather large. I have also tried using the brush to apply the 4 in 1 powder, but find I still prefer a bristle brush to do that. I tried the skin perfecting brush at ulta and I fell in love. It’s so soft and feels so good on the skin. It applies the foundation quickly and smoothly and does not leave streaks. 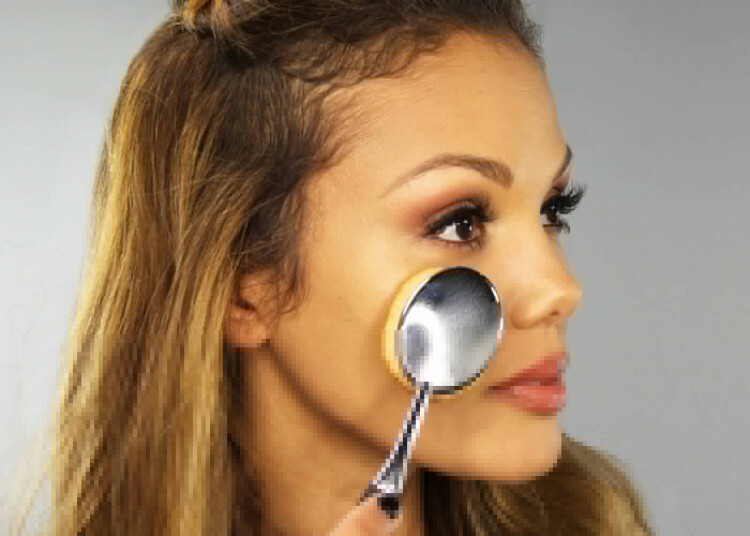 It’s better than a beauty blender and uses up a lot less product. Leaves he skin looking airbrushed. Love it but the handle breaks very easy!! I LOVE this brush. It is a total game changer for my foundation application. I continue to recommend it to all of my girlfriends. This has become my favorite foundation brush , one i reach for all the time. Super soft and easy to clean. Gives my foundation an air brushed look, I have been using this brush on my clients as well. I would have to say that this style of makeup brush isn’t really my favorite, but I have tried these out from other brands (high end, and “low end” brands), as for this brand/style it was a decent makeup brush. It got the job done. I use this makeup brush to apply foundation, highlighter, and blush at one time or another. I would say it applied the foundation the best, it didn’t leave any “brush marks” in the foundation after it was applied/dried. This still isn’t my go-to foundation brush, but I do still use it once and a while. It’s nice and soft, it doesn’t scratch my skin at all like other brands of this style do. This product works wonders for the vast variety of PUR Foundations. It leaves such a beautiful finish after applying makeup. good brush performance, unfortunately, the shaft broke after only a few uses. Blends into my skin smoothly. It also miraculously covers my blemishes. This brush did an excellent job at effectively removing dead skin and leaving my face feeling smooth and freshed. This brush is sooo soft love! It blends my makeup in perfectly. Most definitely telling my friends about this product. Love how soft and smooth this brush is! Easy and evenly applies foundation ! I love this brush! It makes applying and blending my foundation quick and seemless. I always recommend this brush to friends and family! Was looking for a good foundation brush for a long time now and this is it so soft cruelty free and works so good! The brush itself is amazing! Makes my makeup go on so smoothly. However, I've had it for about a month now and the handle has already broken. It's very flimsy and weak. The actual brush itself is amazing, my makeup goes on so smoothly and flawlessly. However, the handle is so flimsy and weak. I've had it for maybe a month now and the handle already broke off. There's no fixing it. Very frustrating, and quite expensive for it to break in such a short time. This is a really great brush that quickly and evenly applies my foundation. The only negative is it takes forever to dry after you clean it. I definitely can't clean it at night and use it the next morning. It needs a good 24 hours to dry. I bought this a couple of weeks ago and I'm so glad I did! This brush is so soft and makes my foundation apply flawlessly and without effort at that ? I've had this foundation brush for a few weeks now and I love it! It blends my foundation really well and makes me look flawless! I'm usually not one to buy a new brush everytime I get a new foundation, but this one is amazing! Super soft, blends incredibly well, and easy to clean! 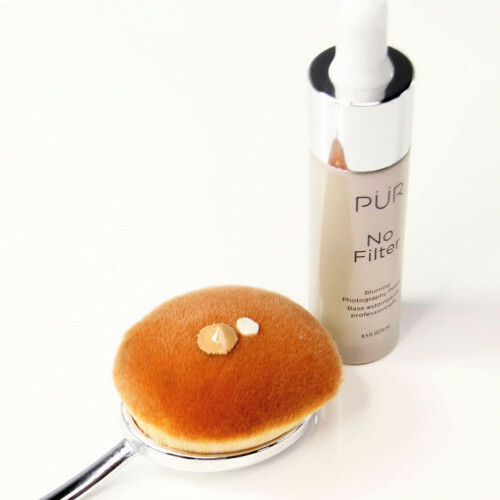 I bought it over a month ago I'm very happy with it applies my foundation so flawless! this brush give me the perfect skin! It buffs your foundation into the perfect look. I have been using it everyday& i love it! Yes! I have already recommended it to friends! 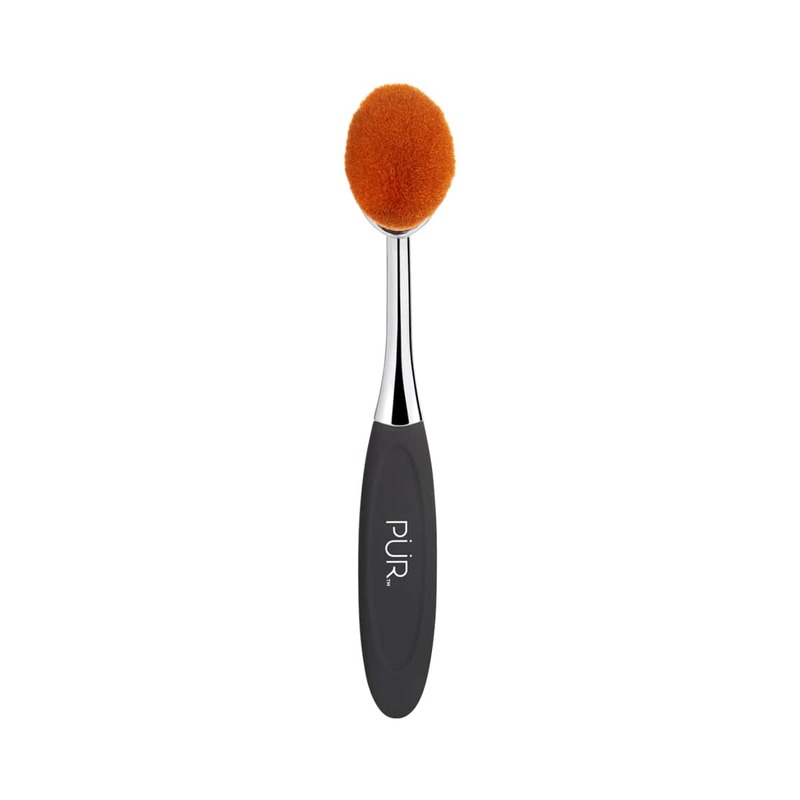 I really like this brush and I love the way it blends out cream contouring and foundation. However I have noticed I have to hold it a certain way because the handle bends really easily. I love this brush. It is so incredibly soft and easy to use, perfect for foundation application. Love how easy and quick it is to blend products out with this! A few long hairs here and there but nothing major and will not effect application. Definitely recommend if you are looking to try out a less expensive but still great quality paddle-style brush. Love this brush, it is dense enough not to eat foundation. Blends beautifully. Great for creams, well most everything. Now I just need the small one! love so much! it is so soft and perfect for foundation!!! I would definitely buy again! Enough job for me that I don't feel like I need to buy the Artis brush! So overall I really like this and would recommend it! This is the best brush I've ever had! 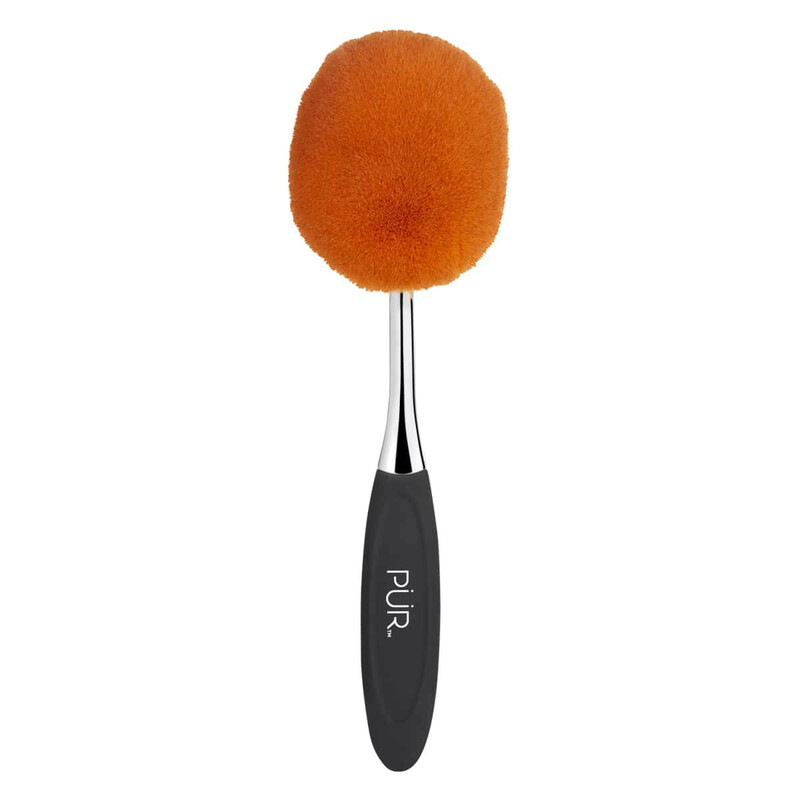 No brush, sponge or anything compares to how amazing this brush is! I hope in the future they make it in different sizes.